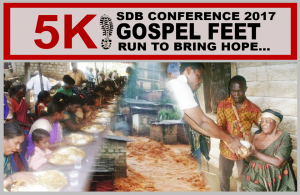 Gospel Feet 5K, held at General Conference 2017, Azusa Pacific University, California, to partner with SDB Missions across the globe to bring hope to persons in needthrough SDB ministries, has raised $2,805, all of which has already been disbursed to the field. 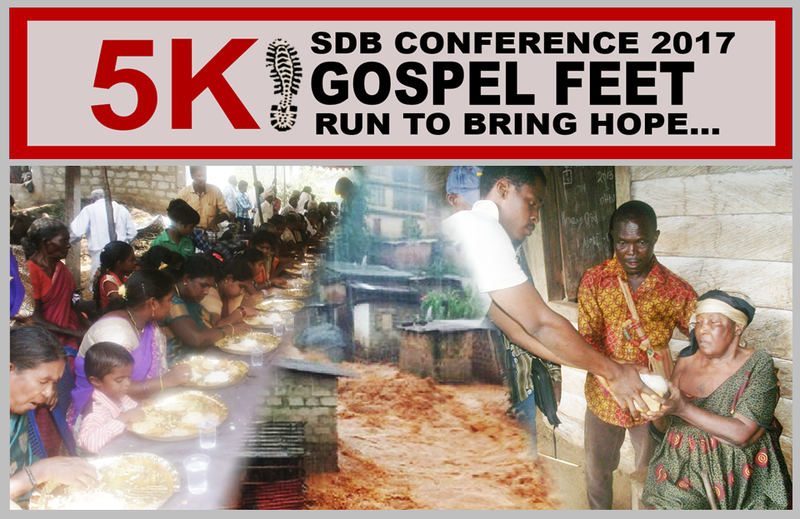 This is the 5th year of Gospel Feet 5K at General Conference to raise funds to help SDBs in more than 40 countries. Through your support this year, hope has been sent around the world to help with: Compassion Ministry to communities in Cameroon; Flood Relief in India; Crusade Support in Kenya; Medical Aid and Hunger Relief in Liberia; Disaster (mudslide) Relief and Orphan Medical Aid in Sierra Leone; Orphan support in Tanzania and Uganda. Thank you all for participating in making this and other projects possible. Your support has been making the difference, bringing HOPE across the GLOBE.